By now, most of you have heard my story of my failed attempt at getting the Scramble 1chiban. I was really excited for it when it came out, but I was just 2 minutes short of being able to grab one. Scramble’s second offering, the Wave, is definitely different from the 1chiban, but still very true to the smart design and stylings of Scramble. With an interior rashguard, and a more open drawstring system, the Wave really separates itself from a lot of other current gis. I really love the smart design of Scramble’s apparel and the Wave is no exception. I think Scramble has made a very cool move trading the outward bling of the 1chiban for the inner bling of the Wave. 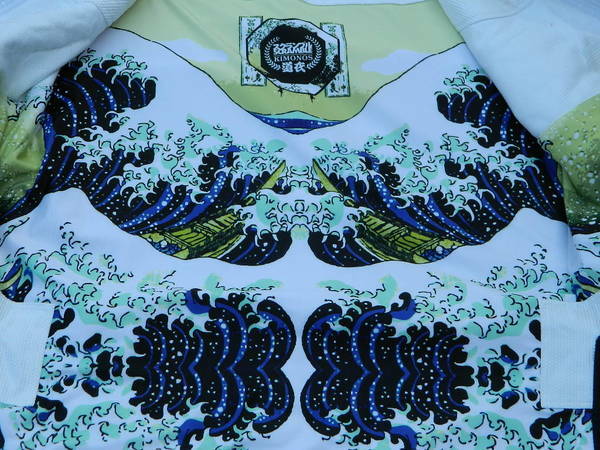 The wave most prominently features a rashguard interior depicting a version of Katsushika Hokusai’s Great Wave off Kanagawa, which is very well done. The seam taping and lapel label also continue this theme and are very well done. As the gi fit me well out of the bag (and I washed on cold/hung dry), I can’t offer a guide on shrinkage for the gi. But Seymour Yang (Meerkatsu), noted a considerable amount of shrinkage on the trousers. I am 6’1 and 200lbs. and the A3 Wave fit me very well. The cuffs were a bit wider than some of my other gis, but nothing overly significant. I felt like I had full range of motion in every movement while drilling and rolling. Compared to my recent Bull Terrier New Star Review, the jacket is a bit wider and longer, but the pants are a bit narrower and shorter (which is great because the BT pants are wide and long for my preferences). Again, compared to my A3 Submission FC Light gi, the Wave is a bit longer in the skirt, but all measurements are very similar. With the exception of the longer jacket skirt, I consider the Wave to be in the middle range of A3 measurements (unlike my A3 SYR Ring that was massive). The 550gsm jacket is the same weight as my CTRL Industries Rook jacket (Note: the new Rook jacket is 450gsm). Personally, I can’t tell the difference between 550 and 450 and I bet most other people can’t either. What makes the jacket feel a bit heavier is the (IBJJF Legal) rashguard interior. Unlike my Tatami Terere gi, the rashguard of Scramble Wave does not extend down the sleeves. I can’t say that it made any difference in performance or feel, but I did notice it upon first view. I really like the understated exterior of the jacket to go along with all of the cool aesthetics on the interior. 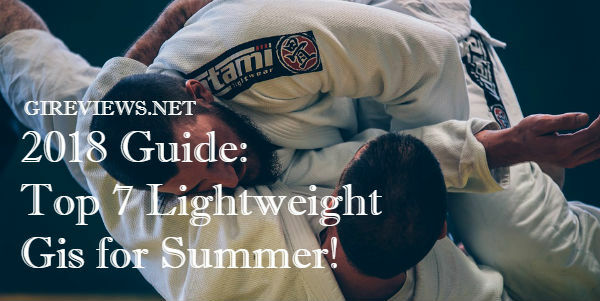 Want the latest BJJ gis? Do your shopping at Hypnotik! The major wait for the Scramble Wave was due to defects in the test versions of the trousers. I am happy to report that I had no such issues with my pants. They held up fantastic during training, including sparring with my by buddy Jon Greek from Kauai Kimonos. The pants are heavily reinforced and feature the same seam taping in the end of the pant leg as the jacket has on the end of the cuffs. There are 4 drawstring loops present on the pants that were more than enough to keep the thick, cord drawstring from riding up during training. Sad to say, my systematic destruction by Jon revealed that the Wave does not provide any type of superpowers. But you will look pretty freaking awesome while trying desperately to escape bow and arrow chokes (or maybe that’s just me). All of the photos in this review show the gi after a few weeks of washing and wearing (please excuse the poor lighting in the photos). The gi held up really well in training during this time period. 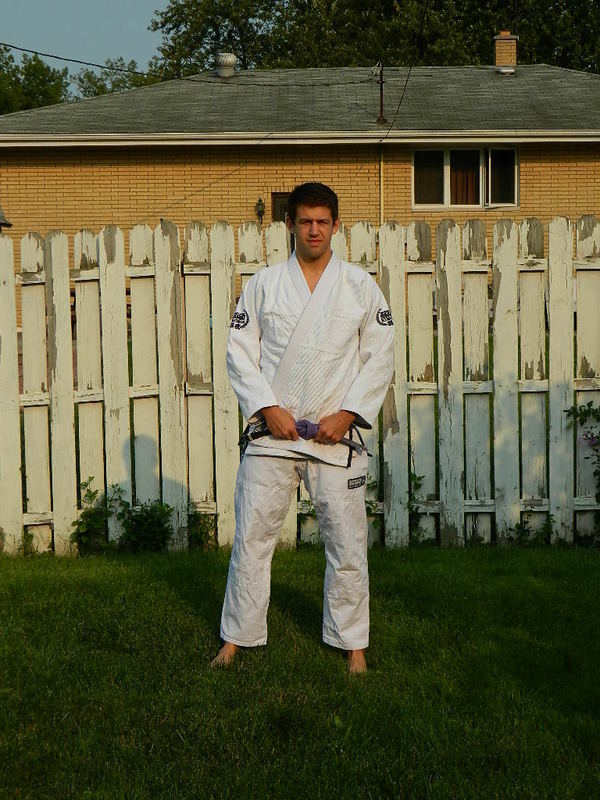 I get really frustrated with having sleeves that are really long or pants that are really baggy during training because I feel like it allows my opponent to manipulate my gi easier than they should be able to. 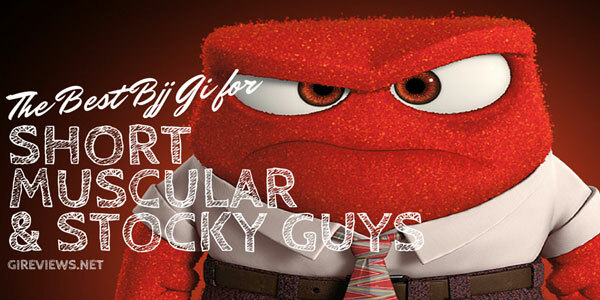 I don’t want to spend my whole time training just trying to break their grips. This was not the case with the Wave. As a solid A3 fit, the Wave fit great and felt very light in training despite the rashguard adding extra weight. Although it felt light, it did get very warm during the summer training in 90 degree weather. I look forward to wearing it in the winter months which can be brutally cold here in the Chicago area. Despite the fact that Scramble’s factory is powered by Unicorn farts (a rumor recently confirmed by Scramble owner Matt Benyon), I would definitely recommend the Scramble Wave. If price is a huge consideration for you, the $200 price tag of the Wave may put it out of your league, but I believe that the wave stacks up well versus the other premium gis. Like I said, the sleeves are a bit wider than a few of my other gis, and if you wash/dry on hit the pants will shrink. Overall, the fit is solid and the patches/art is on point. No misspellings or upside down patches here, kiddies. And here’s the bottom line. 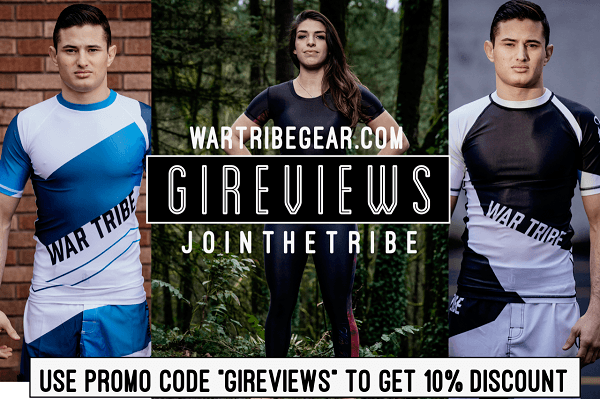 There’s a lot of gi companies out there coming from out of nowhere (I get emails every day from them) who haven’t proven themselves, haven’t sponsored athletes or events or charities, or anything like that. All of which, Scramble does. They think they can charge $175-$200 for their gi like Scramble is with the Wave and I don’t agree. But, I’m biased. I’ll admit that. I like Scramble. I believe you should support brands that you believe are doing the right thing. So not only am I going to say this is a badass gi (even though it is), people support Scramble because they’re a good company with good customer service and great people behind the scenes. Disclaimer: Please note that some of the links above are affiliate links and I will earn a commission if you purchase through those links (at no extra cost to you). These are all things that I have experience with that I am recommending because they are helpful and are companies that I have personally purchased from, not because of the commissions that I may earn from you using these products. If you have any questions about the links on this page, please email me! I really wish they would release just a rashie like the linining in the wave. I already wear rashies under my gi. Have you seen their new spats in the works? I know!!! HOW COOL WOULD THAT BE?!?! I might’ve seen the new spats, but I’m not sure. Love their designs. The spats are black w/ a digital camo pattern. Pretty sweet looking. I have their black ones, and I love them. oh yah! Love their style. I remember commenting that it looks like something Kitaoka would wear. I’m with Annie! I love their stuff (the bushido rashie is a particular fave), but I have no need for a really high-end gi with a feature that has no appeal to me. That being said, I think it looks awesome and am excited to see Scramble putting out more stuff. Glad to know that they’re keeping up the quality everyone noted with the 1chiban, too. haha, i love that rashguard too. I think its’ hilarious that 50% of their fans said short sleeve and 50% said long sleeves so they made it 3/4 sleeve. Lots of people actually had issues with the 1chiban. The fit was sort of off, but they seem to have addressed it! I definitely definitely can’t wait to see what Scramble comes out with next! Me too man. Really excited about it! How’s the A3 fit compared to the Shoyoroll A2 fit? Besides shoyoroll’s exclusivity, the fit on their A2’s are the best out of package fit I’ve found for me. And any word when they go on sale? Dude, you would probably love the cut of the new MMA Outlet Core gi. I just got one and I think it’s going to replace the fuji single as the best budget gi. The A3 cut is awesome for skinnier guys. Curses. I wasn’t planning on getting any more gi this year, but apparently now I have an A4 on the way. This one looks too cool. Brendan, did the A3 fit you right out of the box? I was wavering between the A3 and A4. yeah, the a3 fit me very well right away. there’s plenty of room for shrinkage down the road though should it shrink a bit. And, Rob, thank you so much for buying through the link on that page! I’ll let you know how the A4 works out – I am on the “no-shrink-ever” plan with the A3 in SYR, so I figure the A4 was the wiser decision here. The A4 is perfect – 2 dryer cycles, and it fits like it’s tailored. 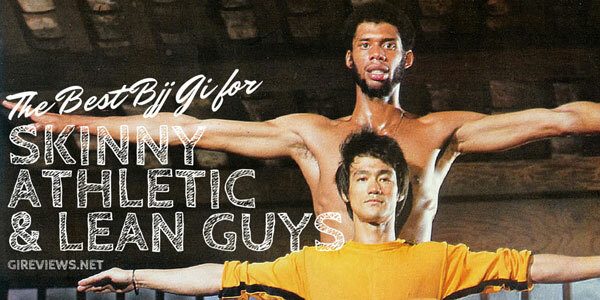 Weird that we’re roughly the same size, but apparently need pretty different gi sizes. I think it’s my monkey arms and legs.